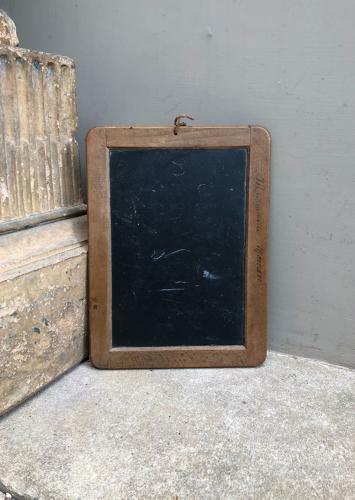 Lovely condition Late Victorian Childs Slate which belonged to Margeurite Moreau. One side is a blackboard the other gridded for maths. The blackboard side makes a great Memo Board. String to wall hang.